Thanks to the dedication of 1,500 community volunteers, the World of Wonder Playground is Georgia’s largest volunteer-built playground. When you enter the playground, you are greeted with a carving of a quote from Aristotle that reads, “Wonder implies the desire to learn.” It’s the perfect greeting for a playground that is sure to elicit wonder in every child who visits. 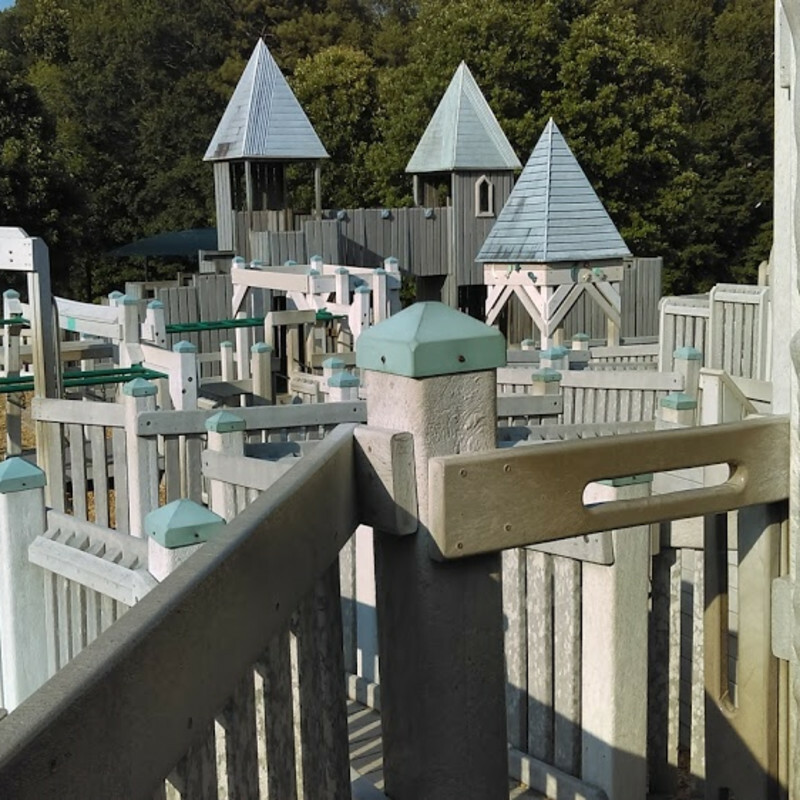 All of the classics can be found here: rock walls, swings, monkey bars, interactive tic-tac-toe walls, even a giant dragon that begs to be climbed. The playground includes a tot lot for children aged two to five and elevated walkways that provide a view from above.